Book: The Secrets of Black Arts! 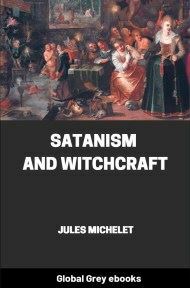 The full title: A Key Note To Witchcraft, Devination, Omens, Forewarnings, Apparitions, Sorcery, Demonology. Dreams, Predictions, Visions, And The Devil's Legacy To Earth Mortals Compacts With The Devil! With The Most Authentic History Of Salem Witchcraft.